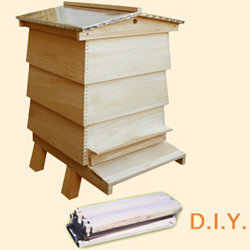 WBC Bee Hive outer case, assembled, no DIY needed. 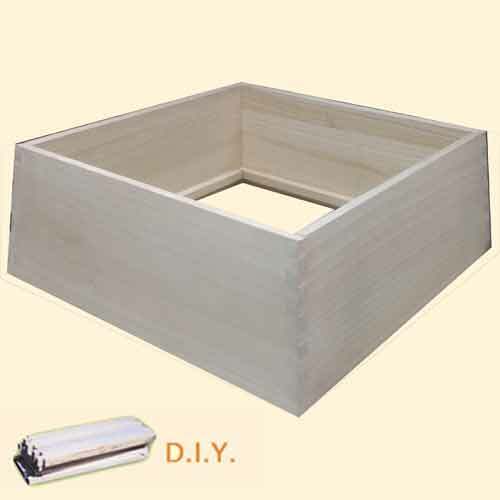 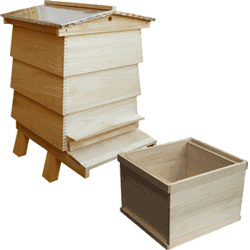 These are made for beekeeping but also make attractive and practical garden storage containers. 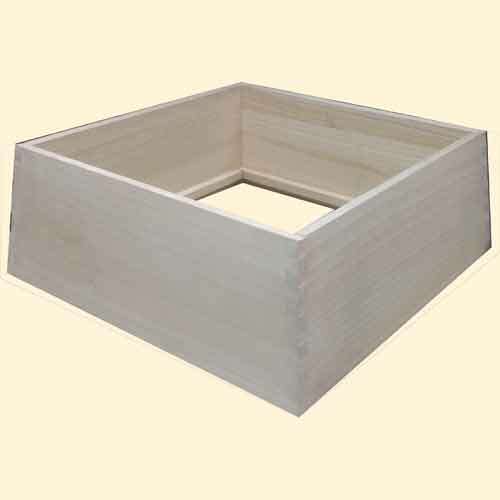 Note: Internal dimension at narrowest point is 473mm square so this is just large enough to accommodate National standard boxes. 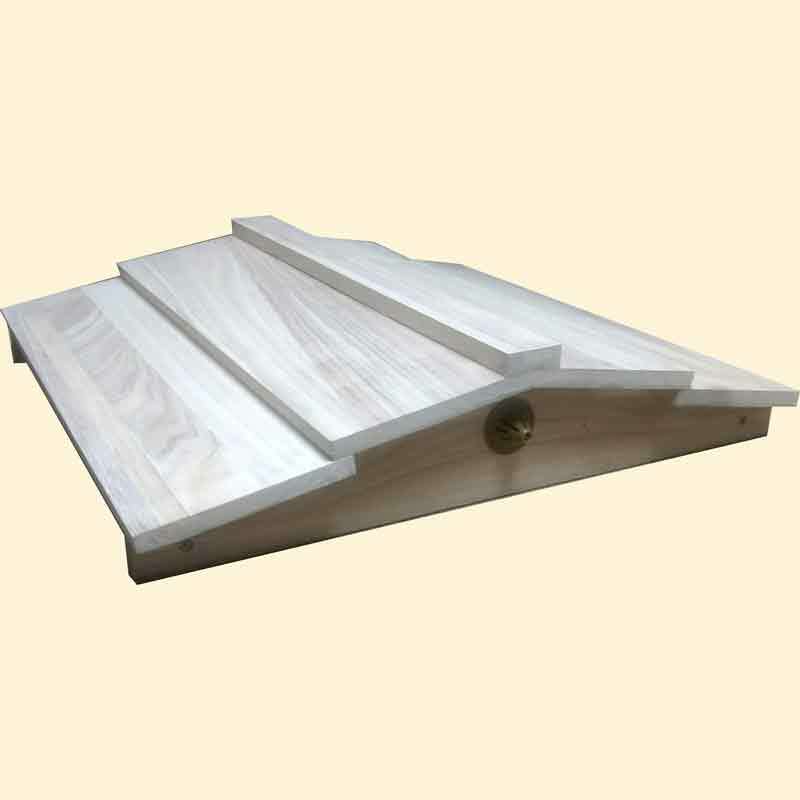 Roof, clad - choose style. 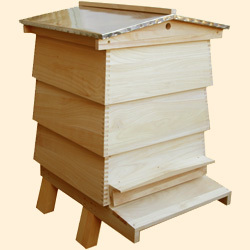 3 Outer Lifts and Porch. 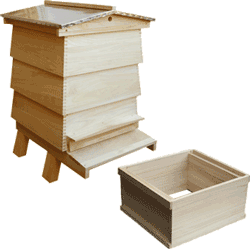 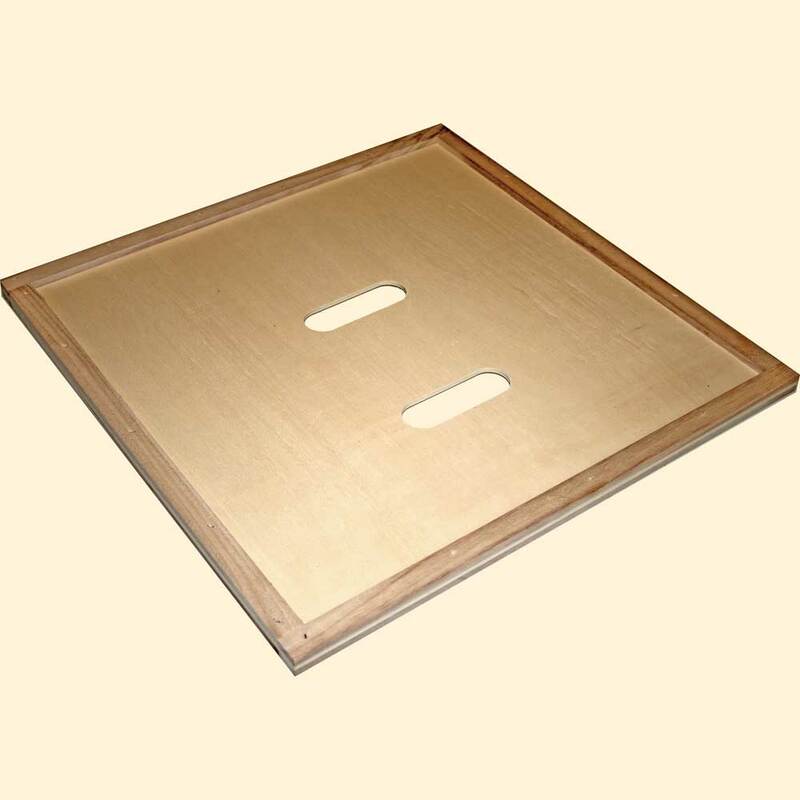 Hive Stand with Landing Board, Legs and incorporating a Varroa Mesh Floor including sliding inspection tray, this is supplied assembled except for the screw on legs, screws included. 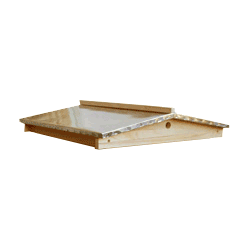 All woodwork is untreated knot free solid timber.